It is part of the morning ritual of most people I know: a nice cup of coffee. 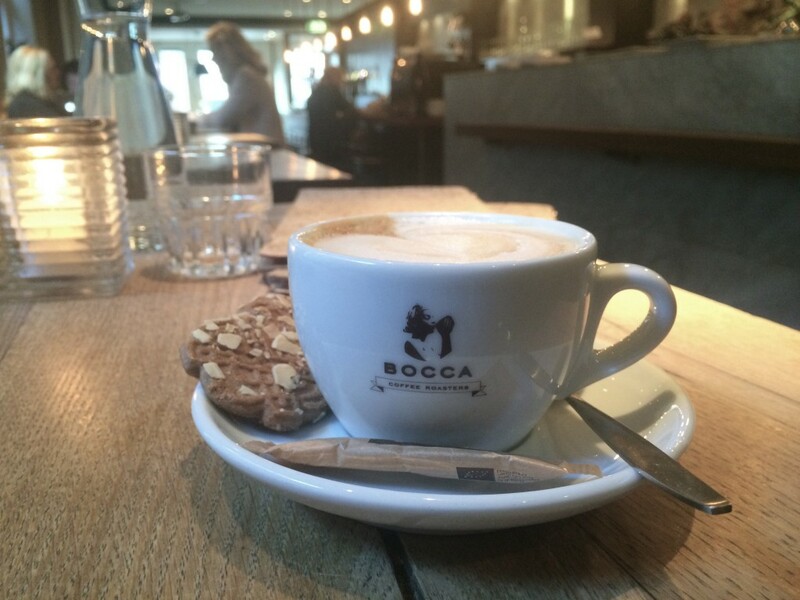 Back home, you probably have a favorite spot where they know how to make your cappuccino to perfection. 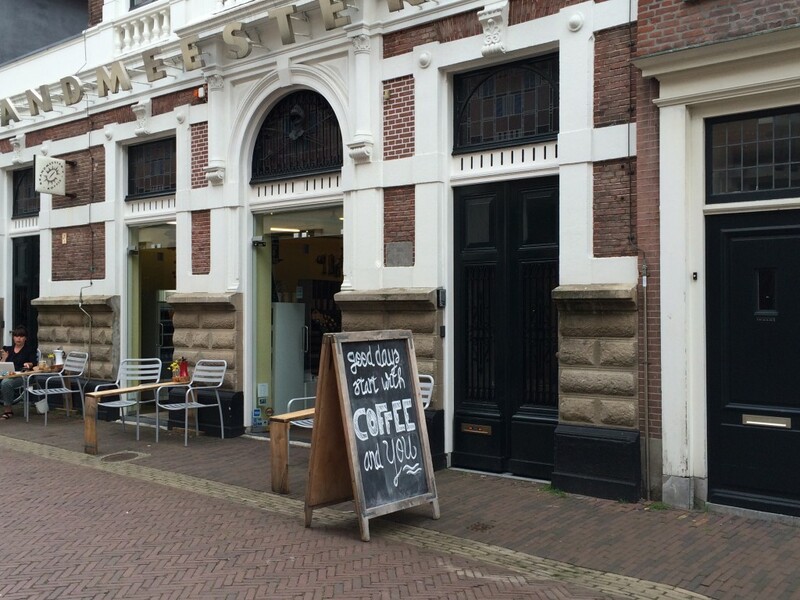 But where do you go in Haarlem to get your daily caffeine fix? 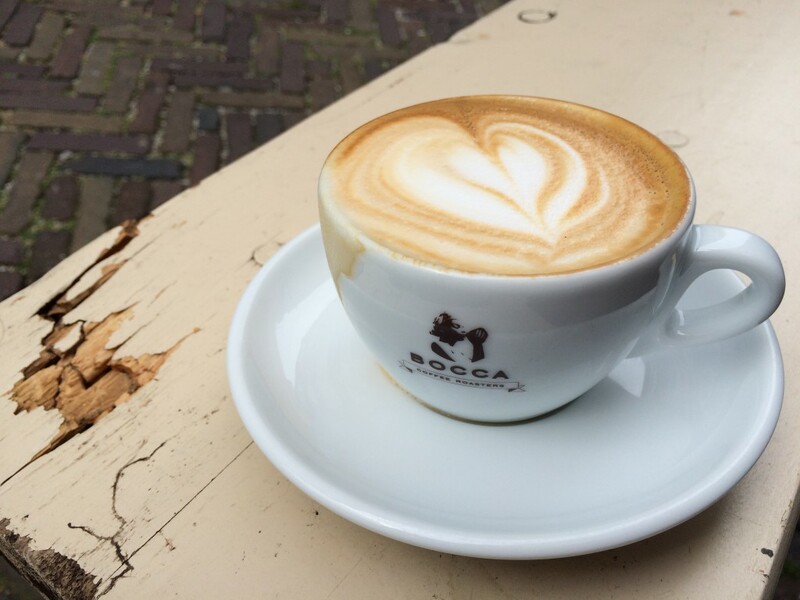 To prevent you from ordering your cappuccino in the wrong place (you know, where they pretend to know what they are doing, charging you accordingly, but delivering poor quality), I present to you This is Haarlem’s selection of the best local specialty coffee shops. I have been a regular at Mogador since its opening in 2012. The shop is small and it is always busy here, but the coffee is worth the wait. Have a seat on one of the benches outside and watch Haarlem slowly wake up. The focus here really is on coffee, so there is no elaborate breakfast/lunch menu (you can order a croissant, yoghurt with granola and there’s a weekly sandwich). Beans here are from Bocca, a Dutch micro roaster founded by two brothers that control everything from buying the green beans directly from the farmers to the packaging and distribution of their beans. In my opinion, the best time of the day to visit Anne & Max is the morning. It’s still relatively quiet here in the early hours, whereas in the afternoon the place can get crowded and noisy. Another reason for a morning visit: the breakfast deals can only be ordered until noon. The bench outside is perfect for some people watching, especially when the sun is out. All coffees can be ordered to go. It might not be too obvious when you look at the Brandmeester’s store, but besides selling everything you need to make a perfect coffee at home, they also have a little corner in the back where you can order your morning caffeine fix. Brandmeester’s was founded back in 1994 and since then they have been responsible for discovering and educating many Dutch barista’s. They roast their beans on the spot and sell them to other espresso bars, or to you, if you would want to bring some home. Portrait is Haarlem’s first real concept store, so besides drinking good coffee you can also shop a new wardrobe here or buy some furniture for your home. 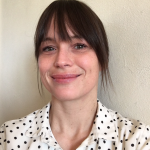 Portrait was founded by three young creatives from Haarlem. They aimed to create a space for people to meet, work, get inspired, create and maybe do some shopping on the side. They succeeded. The little breakfast menu with things like a boiled eggs, scones and yoghurt with granola makes Portrait a perfect place to start your day in Haarlem. 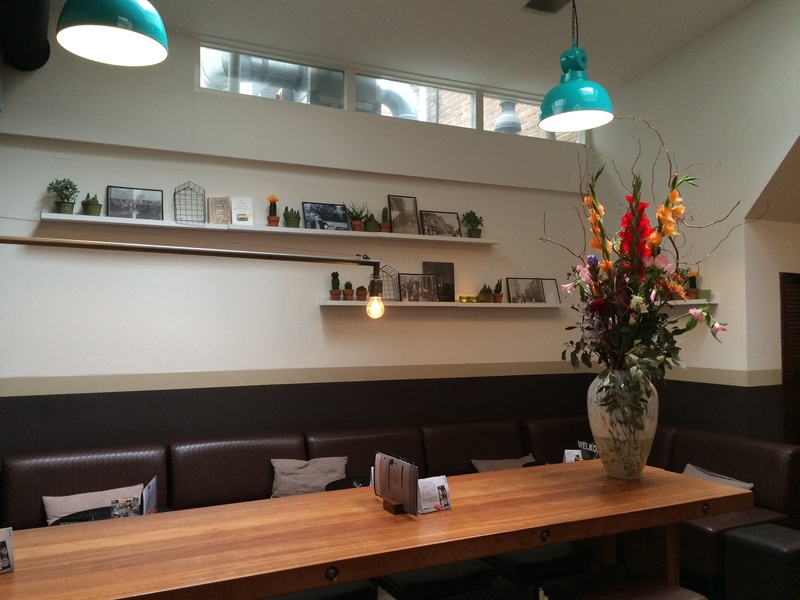 Dodici is tucked away in a little street next to the Grote Markt. This place looks more like a restaurant or bar and not per se like an espresso bar, but it is actually a perfect spot to have a good cup of coffee. They open early and serve a nice breakfast (their scrambled eggs with cheese and tomato are delicious!). The staff is always friendly and professional. Dodici is also great for lunch/dinner and they serve great cocktails.